Superwinch gives you the opportunity to go where you haven't gone before. Don't bother with mounting a permanent winch to your vehicle. Choose the Winch2Go to get you and your friends out of any difficult situation. The Winch2Go is a quick and easy portable winch system that can be used anywhere. It comes in a rugged carrying case that can be used on the fly or mounted anywhere on your vehicle or ATV. The tool box style carrying case houses the winch and its multiple items that will help you get out of any sticky situation. 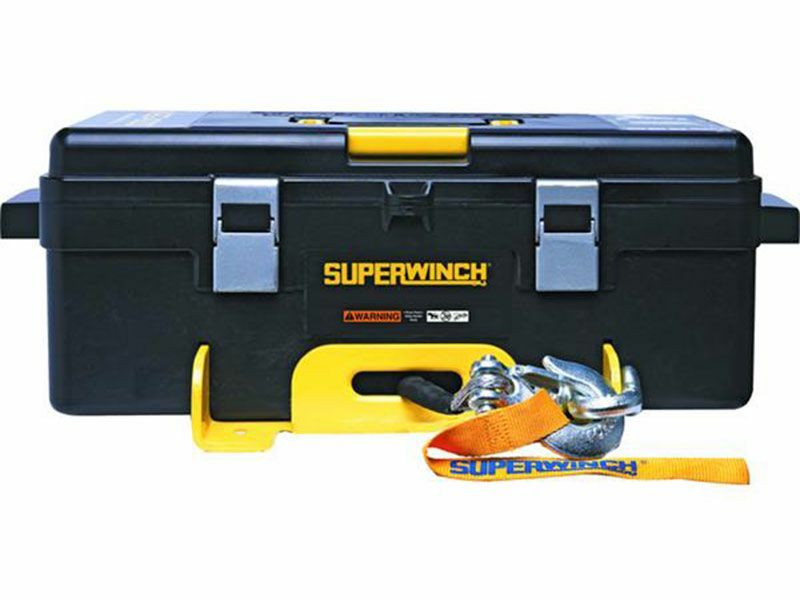 The Winch2Go comes complete with shackles, straps, a pulley block, handheld remote, 10' battery leads with alligator clips that allow for an easy battery connection, and a pair of Superwinch leather gloves. The Winch2Go can pull up to 4000 lbs and up to 8000 lbs when using the pulley block. Throw the Superwinch Winch2Go in your vehicle for any adventure and don't be the one stuck in the mud. Superwinch offers a limited two year warranty on the Winch2Go.